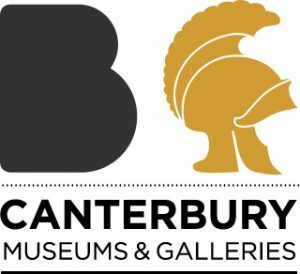 In May 2017, we launched the Canterbury Museums & Galleries ‘Adopt an Object’ scheme. The initiative enables every primary school in the Canterbury district to ‘adopt’ a special object from local museum collections the which becomes ‘theirs’ , creating a sense of ownership and inspiring learning. The ‘Adopt an Object’ initiative offers an opportunity to inspire and engage children outside the classroom using the fascinating collections to stimulate curiosity, imagination and creativity. Following the launch of the scheme and the adoption of the first object by Wincheap Foundation Primary School, each district primary school is contacted annually to arrange the adoption of their very own chosen object and supporting activity for the year ahead. Schools also receive a certificate to officially mark the adoption of their object. To date we have over 30 Canterbury district Primary schools engaged in the initiative. If you are an interested school wishing to find out more please email Learning@canterbury.gov.uk. At Canterbury Museums & Galleries we have been delivering an inspiring programme of educational workshops for schools for over 20 years, bringing subjects to life as part of a rich, cross curricular experience. Learning is at the heart of what we do and both The Beaney House of Art & Knowledge and Canterbury Roman Museum have won Sandford Awards for Heritage Education in recognition of the quality of our learning programmes. The early years of a child’s life are formative and affect their whole life. At Canterbury Museums and Galleries we provide a place to be inspired, a place for ideas and a place to broaden a child’s horizons, unlocking their potential and developing their confidence. Our museum’s reflect who we were, who we are and who we hope to be.